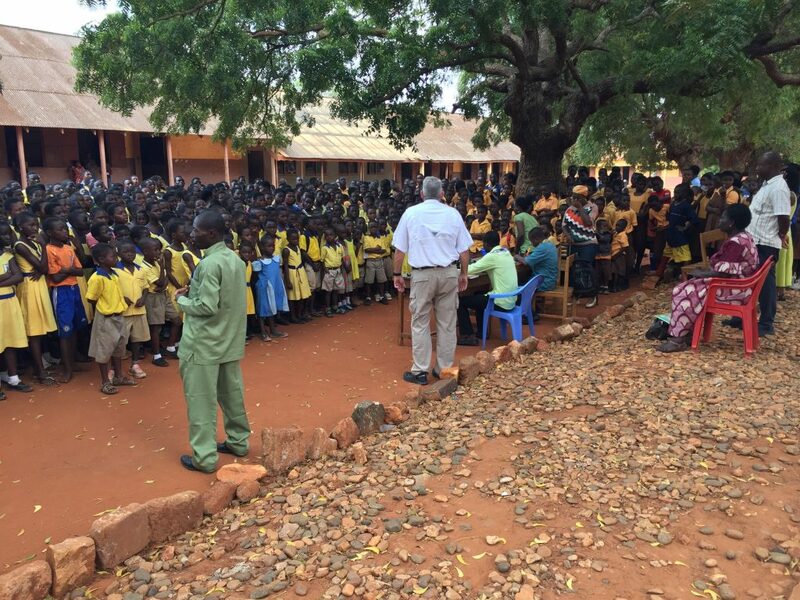 During our time in Ghana we were able to share the gospel with 53,076 people in 191 venues where 38,122 individuals indicated first-time decisions for Christ. This is without a doubt, the result of God’s grace and mercy. During our final film crusade we encountered a village man who came to us prior to the showing of the Jesus film and said, “I want to know how to go to heaven!” He said, “my church has been teaching me that there is no heaven, but my children came home today to tell me that your team visited their school and now they have the assurance that they were going to heaven!” One of our nationals told him that at the end of the film he too would have the opportunity to “know for sure” the way to heaven. He watched the film, but when it came time for the preacher to stand and share the gospel, this man’s wife demanded that they leave.” The man agreed to her pressure and left. When relating this story, the national pastor said that he himself was weeping that the man had not had the opportunity to hear the gospel and that he, himself was to blame for not telling the man directly the truth when first asked. This has been a fabulous project and each member was great. I look forward to joining our Ghanaian friends again in March of 2017 for our next scheduled project here. On behalf of Jeff Andler, Craig Barker, Mark Chase, James McLean, and our entire groups of friends from Ghana I want to say “thank-you” for all your prayers and support. Pray for our safe travels home.